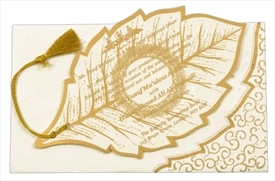 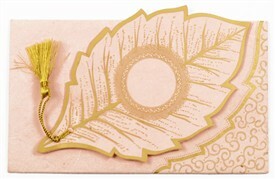 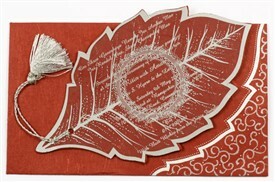 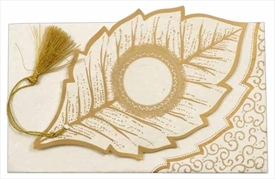 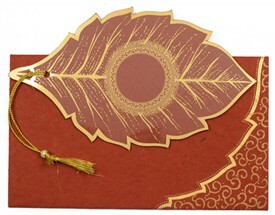 D-3160, Red Color, Handmade Paper, Odd Shape Cards, Small Size Cards, Light Weight Cards, Designer Multifaith Invitations. 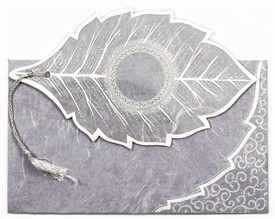 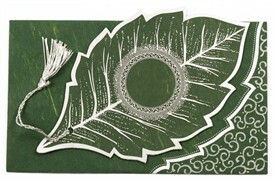 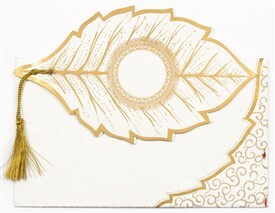 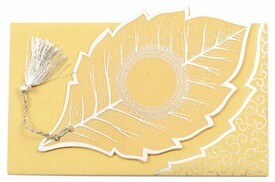 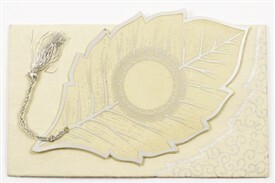 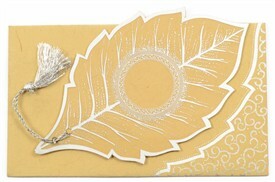 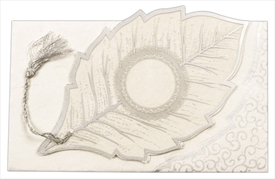 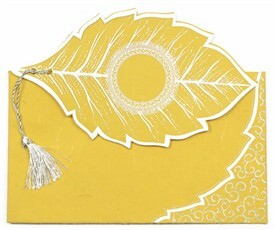 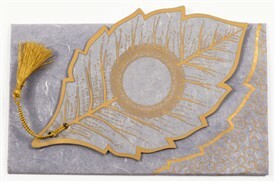 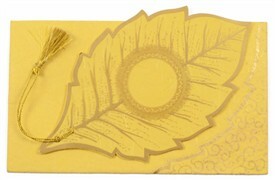 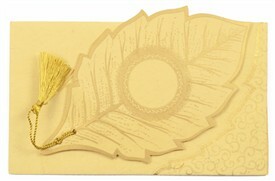 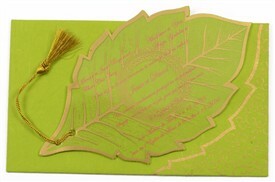 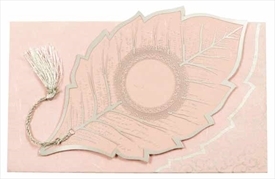 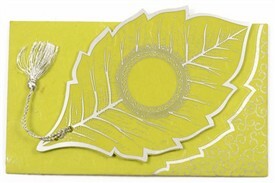 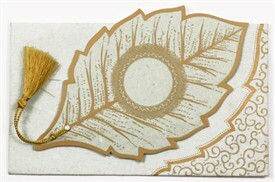 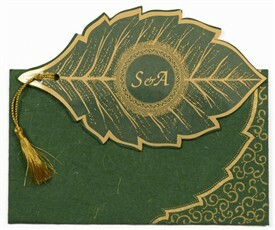 Leaf shaped card with front having PVC overlay printed with leaf design in silver. 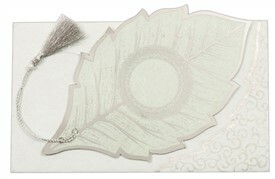 The PVC and inserts are tied together with a silver tassel. 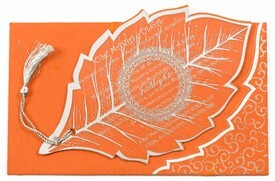 Envelope has leaf border in silver. 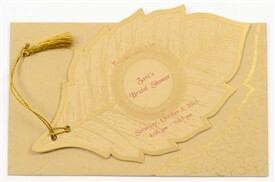 Center has circle to print Initials or symbol of your choice. 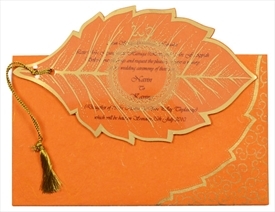 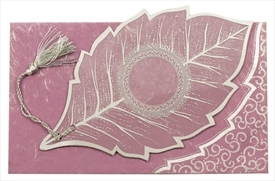 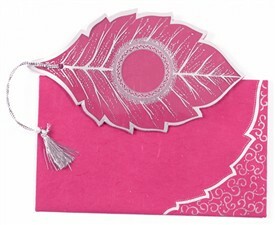 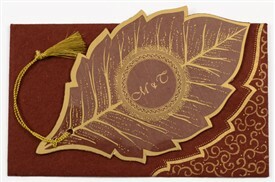 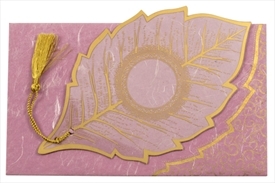 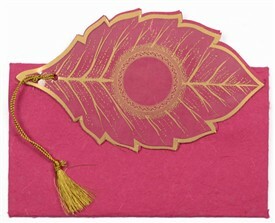 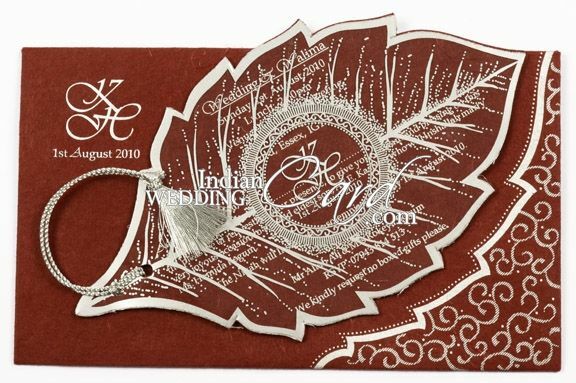 Maroon silk Handmade paper (250gsm) for leaf shaped inserts and mailing envelope.